우고 론디노네의 웹사이트가 새롭게 개편되었다. 텍스트 보다는 이미지 위주의 간결한 정보를 제공하는 아카이브적 성격의 구성으로, 크게 전시이력을 볼 수 있는 ‘전시 (Exhibition)’ 섹션과 작가의 작업이 담긴 ‘작품 (Work)’ 섹션, 그리고 작품의 명도에 따라 구분한 ‘낮 (Day)’과 ‘밤 (Night)’으로 이루어져 있다. ‘전시’ 섹션에서는 전시가 연대순으로 정렬되어 선택된 전시의 설치 사진 및 전시에 출품된 작품 리스트를 확인할 수 있고, ‘작품’ 또는 ‘낮’과 ‘밤’에서는 매체에 따라 드로잉, 회화, 조각, 사진, 비디오, 영상, 시로 분류된 그의 모든 작품들을 심층적으로 살펴 볼 수 있다. Kukje Gallery is pleased to announce the launch of Ugo Rondinone’s new website, which presents an easily comprehendible, archival documentation of images. Rondinone’s website is categorized into ‘Exhibition’ and ‘Work,’ the latter of which is further subdivided into ‘Day’ and ‘Night.’ ‘Day’ and ‘Night’ allude to the chromatic range incorporated into Rondinone’s work. Each page extensively presents works of various genres including drawing, painting, sculpture, photography, video, and non-visual arts such as plays and poems. 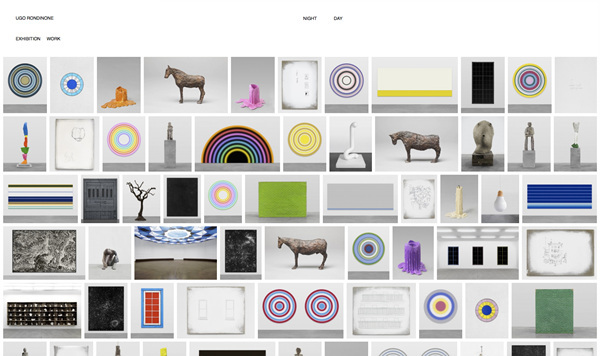 The ‘Exhibition’ page shows a chronological record of Rondinone’s exhibitions to date, providing installation view images and lists of exhibited works. 국제갤러리의 홍승혜는 2017년 7월 15일부터 8월 31일까지 낙동강 강정보 디아크 광장에서 개최하는 2017 강정 대구현대미술제 <강정, 미래의 기록>에 참여한다. 올해로 6회를 맞은 강정대구현대미술제는 1970년대 젊은 작가들이 기성미술계의 경직성에 도전하며 다양한 미술실험을 펼쳤던 ‘대구현대미술제’의 정신을 계승하여 강정보 일원에서 열리는 현대미술축제이다. 올해는 안미희 예술감독의 지휘 아래 현대미술의 동시대성을 보여주는 국내외 총 24명의 작가들이 참여해 대형 모니터를 이용한 영상작품, AR(증강현실) 기술을 접목한 작품, 관객 참여 프로젝트 등 다양한 장르의 작품을 선보인다. 이번 전시에서 홍승혜는 올해 처음으로 선보이는 대형 설치작업 <해피투 미트유(Happy to Meet you)>를 전시할 예정이다. 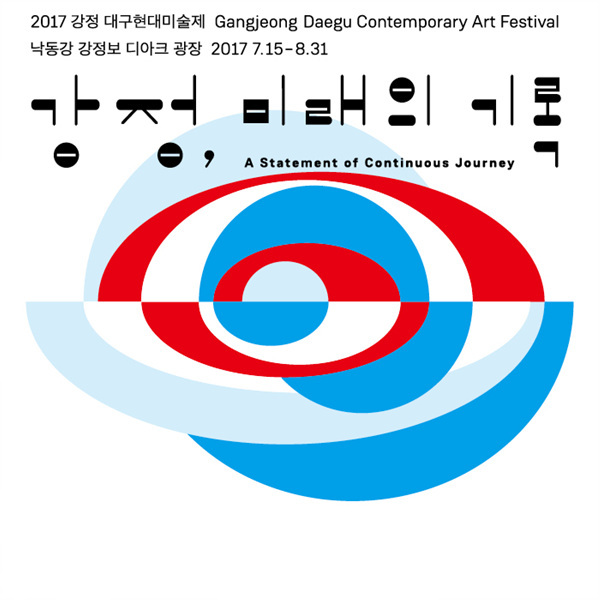 Hong Seung-Hye will participate in Gangjeong Daegu Contemporary Art Festival held at The ARC square in Gangjeongbo, Nakdong River, Daegu from July 15 to August 31, 2017. Inspired by the mission of the former Daegu Contemporary Art Festival in which young artists of the 1970s challenged the rigidity of the art scene then through various art experiments, Gangjeong Daegu Contemporary Art Festival is an annual event held in the Gangjeongbo area. Under the artistic direction of the former Gwangju Biennale curator Mihee Ahn, the sixth installment of the festival, titled A Statement of Continuous Journey, will feature a total of 24 artists from both Korea and abroad. Works of various genres, including video works screened on large monitors, works combining AR (Augmented Reality) technology, along with works that invite viewer participation will be on exhibit. 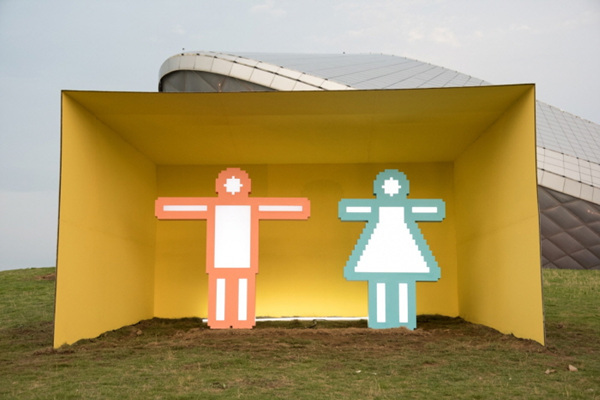 The installation will include Hong Seung-Hye’s large-scale installation piece Happy to Meet You, which will be showcased for the first time this year. 국제갤러리의 양혜규는 2017년 7월 15일부터 10월 31일까지 태국 방콕에 위치한 Jim Thompson Art Center에서 개최되는 그룹전 《Soil and Stones, Souls and Songs》에 참여한다. 본 순회전은 지난해 필리핀의 수도 마닐라에 위치한 Museum of Contemporary Art and Design (MCAD)과 올해 홍콩 Para Site에서 선보여졌으며, 방콕에서 세번째로 선보여진다. 이번 전시에 참여한 33명의 작가들과 아티스트 그룹은 아시아의 여러 지역에서 산발적으로 나타나고 있는 사회적 현상과 문화예술의 생산, 그리고 현대 사조와 뒤얽혀 있는 긴장된 관계의 내러티브에 대한 탐구 등을 다루고 있다. 양혜규는 독립적으로 발생되었음에도 문화적 다양성을 초월하는 보편성을 포함하고 있는 민간사상을 바탕으로 제작한 시리즈의 작품을 선보인다. Haegue Yang is participating in Soil and Stones, Souls and Songs, a group exhibition at the Jim Thompson Art Center in Bangkok, Thailand, from July 15 to October 31, 2017. 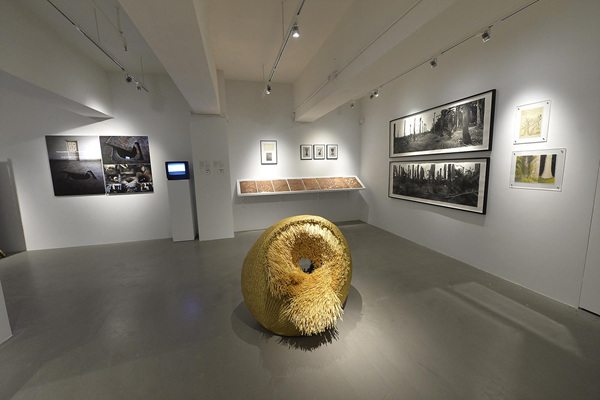 The first installation of this traveling exhibition was held last year at the Museum of Contemporary Art and Design (MCAD) in Manila, the Philippines and the second was held at Para Site in Hong Kong. Showcasing works by thirty-three contemporary artists and collectives, this exhibition explores the overlapping tensions and narratives found today in the realities, artistic and cultural production, and contemporary thought in the Asian sphere. Included in this exhibition, Haegue Yang’s The Intermediate series explores folk concepts that have their own independent identity yet retain a certain universality that transcends cultural diversity. 국제갤러리의 박서보, 박찬경, 하종현은 2017년 7월 14일부터 2017년 10월 9일까지 북서울시립미술관에서 개최되는 그룹전 《아시아 디바: 진심을 그대에게》에 참가한다. 이번 전시는 미국과 소련간의 냉전 이데올로기의 대립으로 대변되는 정치, 문화적 잔여물이 한국을 비롯한 아시아권의 후기 식민지 문화에 어떠한 방식으로 현지화 되었는지에 주목한다. 박찬경의 전시작 <파워통로>(2004)는 1970년대 냉전시기에 미국과 소련이 '아폴로-소유즈 테스트 프로젝트'라는 이름으로 우주도킹 시스템을 개발하던 반면 남한과 북한은 대남 대북 침략용 땅굴을 찾기에 여념이 없었다는 내용을 공상 과학(science fiction) 영화, 과학자료, 사료 이미지를 통해 비판적으로 재구성한 영상 설치작이다. 박서보는 오사카 만국박람회를 위해 제작한 <허의 공간 / 유전인자와 공간>(1970) 드로잉을, 하종현은 같은 해에 제작한 <도시계획백서>를 선보인다. Park Seo-Bo, Park Chan-kyong and Ha Chong-Hyun are participating in a group exhibition at the Buk-Seoul Museum of Art titled Asian Diva: The Muse and the Monster from July 14 to October 9, 2017. This exhibition focuses on how the political and cultural residues from conflicting Cold War ideologies between the United States and the Soviet Union were localized in Korea, along with all other postcolonial societies in Asia. Park Chan-kyong's Power Passage (2004) is a video installation consisting of science fiction films, scientific data, and historical images that critically recalls how the North and South Koreas were grossly occupied with discovering underground passages that would lead to each other’s territory while the United States and the Soviet Union joined forces to develop a space docking system titled the Apollo-Soyuz Test Project during the Cold War in the 1970s. 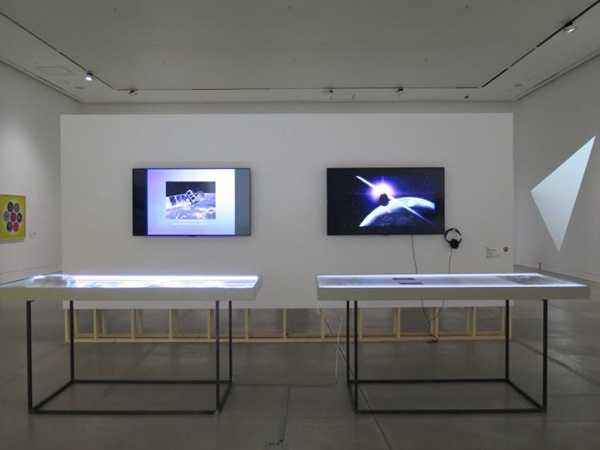 Park Seo-Bo is exhibiting Drawings of Empty Space / Hereditarius (1970), initially created for the Osaka EXPO, while Ha Chong-Hyun is exhibiting Urban Planning (1970). 국제갤러리의 우고 론디노네는 2017년 7월 5일부터 10월 8일까지 영국 런던에 위치한 리전트 파크(The Regent’s Park)에서 열리는 Frieze Sculpture전시에 참여한다. 유수의 국제적인 작가들이 참여하는 본 전시에는 20세기를 대표하는 작가들과 동시대 작가들의 신작과 주요 작품을 함께 선보인다. 이번 전시는 요크셔 조각공원(Yorkshire Sculpture Park)의 디렉터 Clare Lilley의 기획 아래 우고 론디노네의 알루미늄 나무 조각 <summer moon>(2011)을 출품작으로 선정되었다. 공원 속 수많은 식물들에 둘러싸여 설치되는 론디노네의 조각은 주변환경을 반영하는 동시에, 작품 자체가 지니고 있는 고유의 인공적인 영속성을 통해 주변 환경의 소멸성을 강조한다. 본 전시는 인간의 상태와 환경에 대한 사회적 역할과 성찰과 함께 현대 조각의 소재와 기술적 기법을 탐구한다. Ugo Rondinone participates in Frieze Sculpture 2017 at The Regent’s Park in London from July 5 to October 8, 2017. This annual event features leading international artists, this year bringing together 25 new and significant works by leading 20th century and contemporary artists from around the world. 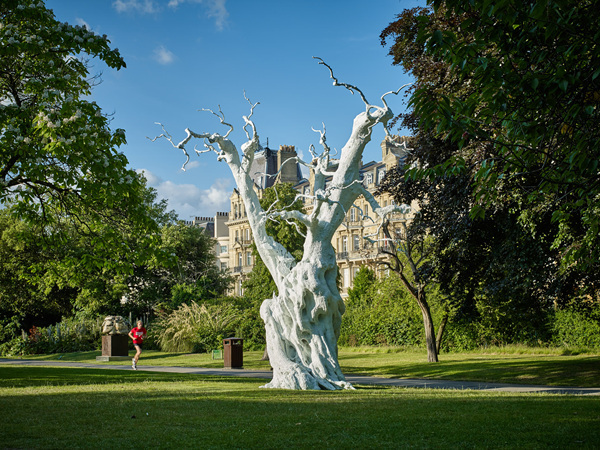 Curated by Clare Lilley, the Director of Programme at Yorkshire Sculpture Park, the show includes Ugo Rondinone’s summer moon (2011), a large aluminum cast of an olive tree in white patina. Surrounded by the park’s flora, the sculpture reflects its environment while at the same time emphasizing the perishability of its surroundings through its own artificial permanence. The exhibition will explore the materiality and technical mastery involved in the production of contemporary sculpture, together with its social role and reflection on the human condition and surrounding environments. 국제갤러리의 김기라는 2017년 6월 1일부터 9월 3일까지 벨기에 와토우에서 열리는 제 37회 <Watou Art Festival>에 참여한다. <On Being Along and Unbearable Loneliness>라는 타이틀의 이번 전시는 다양한 작가와 시인들의 이야기를 통해 고독이라는 주제를 탐구하며, 총 11곳의 다른 장소에서 펼쳐져 시각 예술과 시 사이의 공존을 체험해 볼 수 있다. 이번 전시에서 김기라는 사회에 존재하는 강한 적대감을 표현한 비디오 작업 <이념의 무게_숨 없이>를 선보인다. 김기라는 그간 작품을 통해 한국의 현실, 역사, 이념 및 정치적 갈등과 대립 그리고 충돌 등 현대 사회에 대한 관심을 표현해 왔다. Kira Kim participates in the 37th edition of Belgium’s Watou Art Festival from July 1 to September 3, 2017. Titled On Being Alone and Unbearable Loneliness, this year’s iteration will examine the theme of solitude in its many forms through the collected narratives of various artists and poets. The featured works will be exhibited across eleven different locations where visitors can experience a symbiosis of visual arts and poetry. Among these works is Kim’s video work A Weight of Ideology_Without Breath, which confronts the hostility that is prevalent in our society. Since the beginning of his artistic career, Kim has consistently shown his interest in contemporary society, unravelling the issues of conflict, opposition, collision within the context of reality, history, ideology, and politics within Korea.